"Just listen," Adam says with a voice that sounds like shrapnel. Choices. Seventeen-year-old Mia is faced with some tough ones. 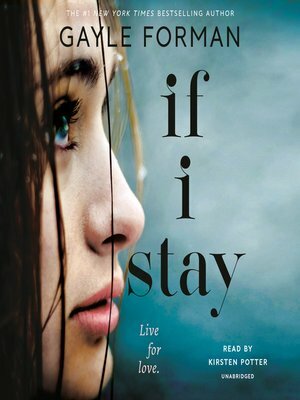 Stay true to her first love–music–even if it means losing her boyfriend and leaving her family and friends behind? Then, one February morning Mia goes for a drive with her family, and in an instant, everything changes. Suddenly, all the choices are gone, except one. And it's the only one that matters.